Everway’s original Guide to the Fortune Deck gives upright and reversed meanings as well as correspondences for the 36 cards in the Fortune Deck. 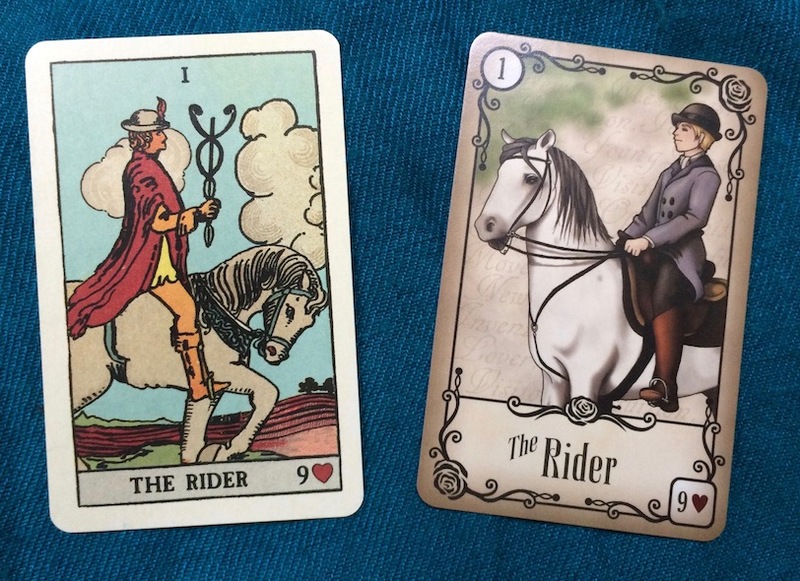 The PDF document linked below is inspired by the original guide, using the Petit Lenormand in place of the original deck. 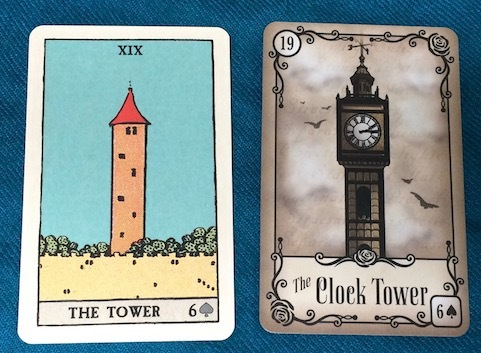 The document is 17 pages long (thus too long for one blog post), and includes photographs of all 36 cards from two Lenormand decks: Pixie’s Astounding Lenormand, and the Under the Roses Lenormand. The Rider is an agent of change, bringing news, new perspective, clues or resources. There arrival on the scene signifies the beginning of a new cycle, a rearrangement of social order, a change in roles in the Tableau, and new purpose for the individual. The Rider is the harbinger of destruction, the spearhead of an invader, the agent of evil intent. The cycle they initiate is one of suffering, evil and darkness. The Tower oversees the nation, and represents the principle of law. It brings order and authority, unites the nation through government. The baleful eye surveys its domain, ruling absolutely and without mercy.